We all know about the dramatic events that are going on right now in Libya, and that's why I decided to post some Libyan music here. 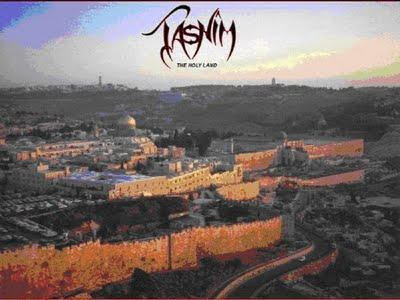 Tasnim is probably the only more or less known metal band in Libya (however, there are two more bands listed in Encyclopaedia Metallum, but it seems like their releases are impossible to find anywhere). Tasnim was started by two Benghazi citizens in 1998, and by the year 2000 they (already a 4-piece band) became the most influential metal band in Libya. Unfortunately (but unsurprisingly), the quality of recording on their demo is quite poor, but it varies from track to track. Some tracks (like "Bitter Nature Of Hypocrisy") are just awful, some are decent. Overal, not bad for a band from a country with almost non-existent metal scene, but some of their songs sound really much more like raw punk than metal.